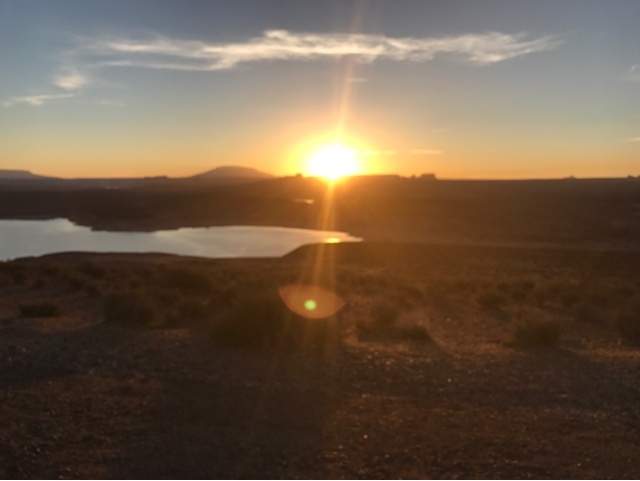 Sunrise in AZ with Lake Powell, just north of Page. 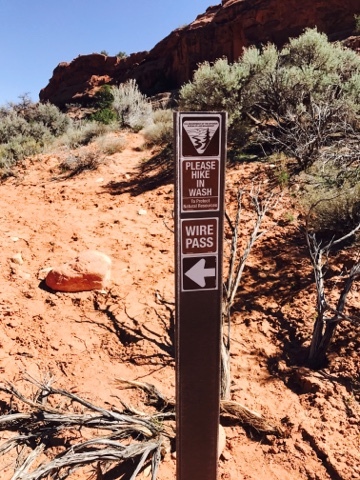 With the lack of a pass for The Wave, I was off to the Wire Pass Trailhead for a hike. 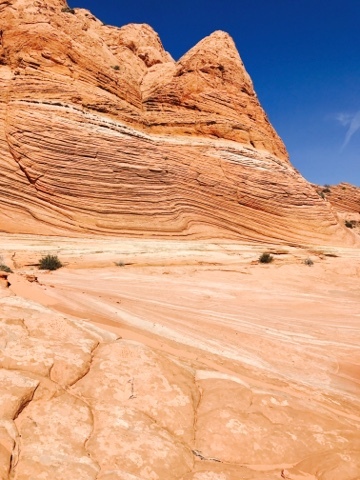 My hike is in the general area of The Wave as I was looking for a possible siting of some similar formations. 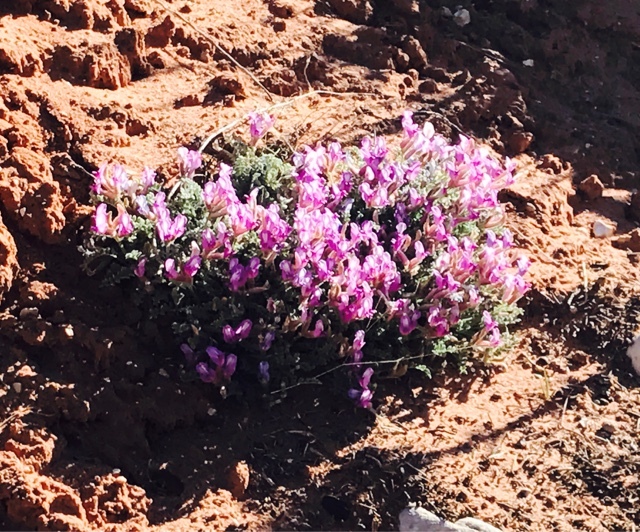 Random flowers brighten the trail. 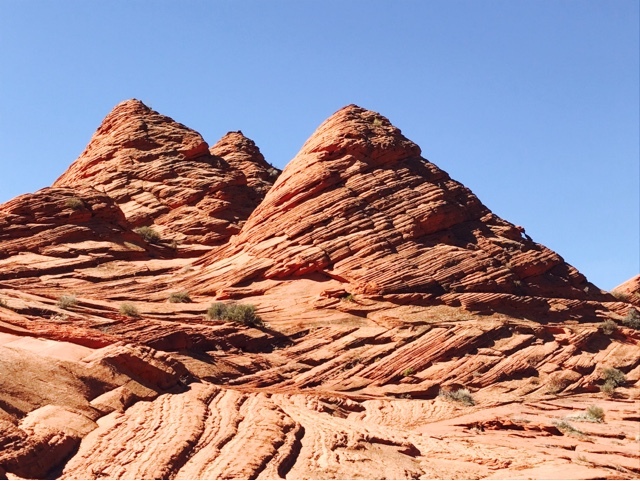 The Wire Pass Trail is a Slot Canyon trail. 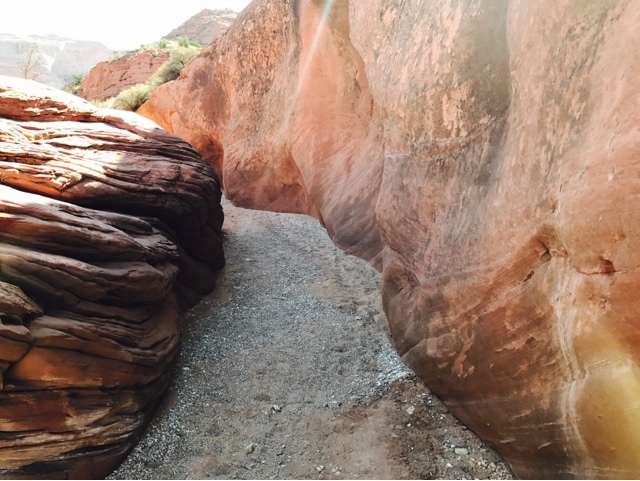 It passes through two slot canyons on the way to Buckskin Gulch. 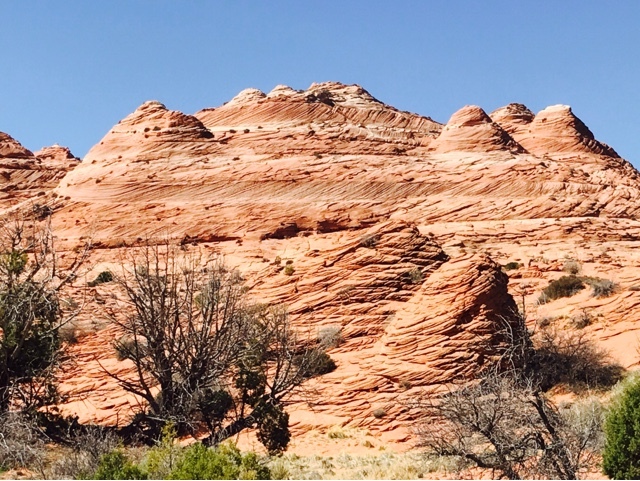 There were a number of rock formations along the way worth looking at. 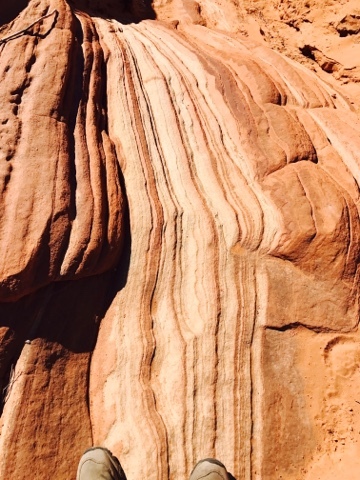 Here is a piece of sandstone that is similar to the Wave but it's orientation is not correct. 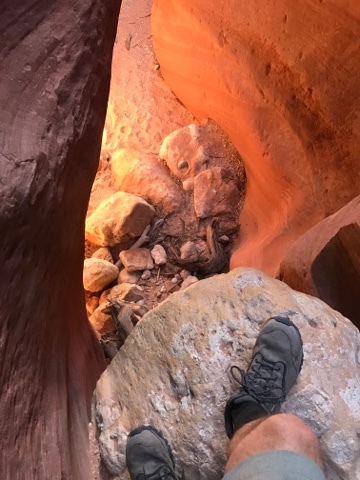 Here in the second slot canyon I stand on a rock looking at an 8 to 9 ft drop with no good way to get back up if I get down. 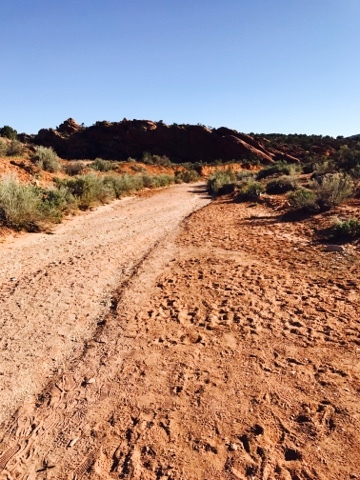 I backed out and met a family who knew of a side trail over a hill to get to the other side. 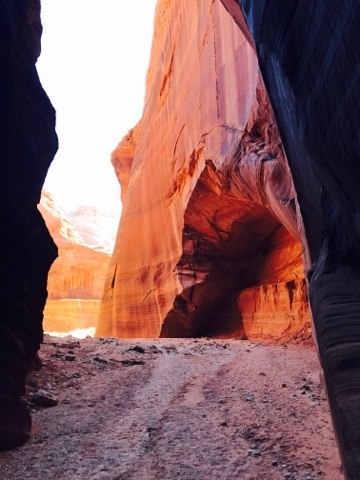 The slot canyon enters into the Buckskin Canyon/Trail, above. 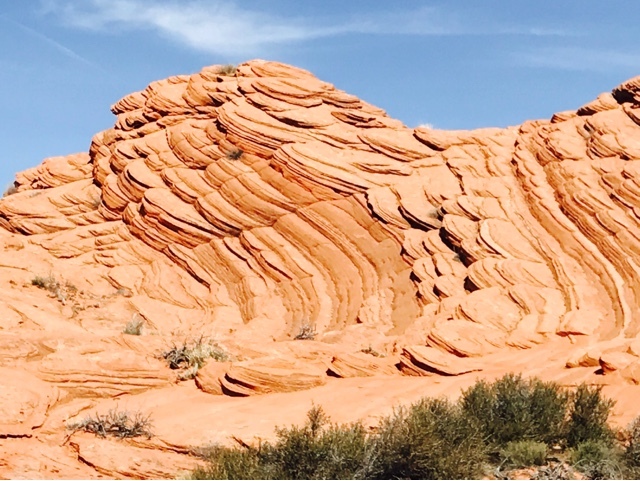 I turned around and went off trail to the south to look for more interesting formations. Above are what are referred to as Teepees. 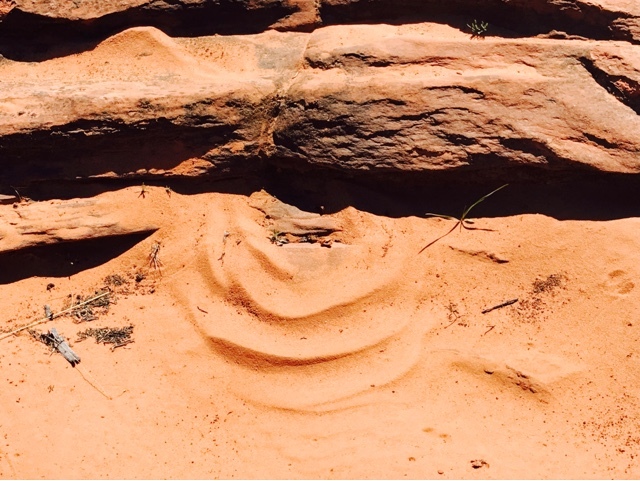 It's interesting to see the differences in the sandstone layering. The lower part of this picture shows similar characteristics as The Wave too. More hills with white tops. I found a wave. Rain caused a trickle of water that created a wave. Not nearly as impressive but it will have to do until I get a permit to go. My hike was about 6 miles and about 600 ft of elevation. It was very dry out and hydration is very important here. 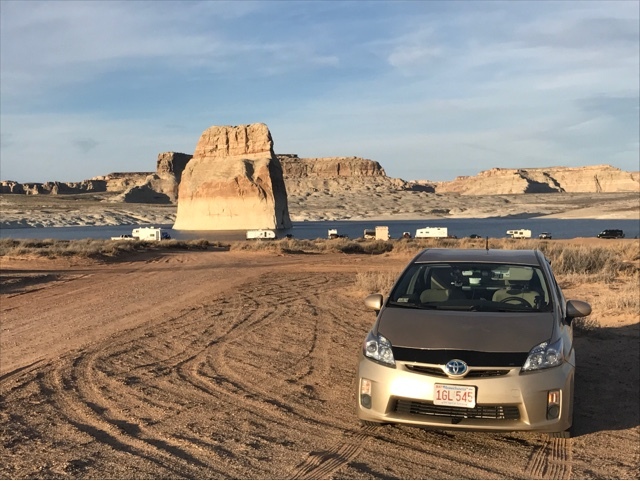 Here I am back camping on the edge of Lake Powell. Ahhh. 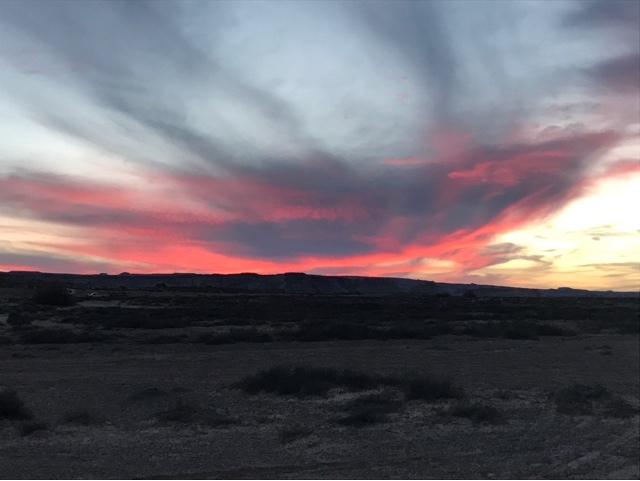 The sunset, above, just makes the day that much better. 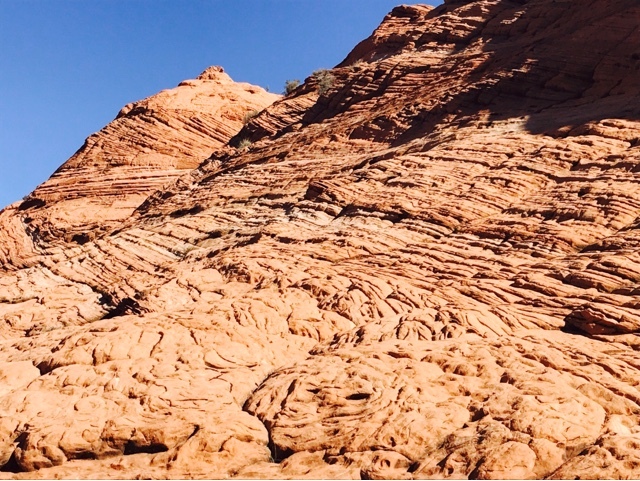 Hiking "The Wave" - "The Second Wave"
How Did I Learn About Havasu Falls?